The power goes out and the lights/computers/phones are dead. The business is down. Check. The chiller plant breaks down and the manufacturing plant shuts down. The business is down. Check. Computer Assisted Dispatch systems throws a fault code and the service technicians don't know their next service stop. The business is down. Check. Those are the first three examples that I thought of, and I find them very interesting, not because of what I mentioned, but what I didn't. In the decade or so that I've been working in the mission critical industry, I've been lead to believe that mission critical was synonymous with data centers. Or at least, that's what it seems many would have you believe. When looking at line cards, banners and websites, I come across "mission critical" combined with "data centers" more than any other industry. I think we all know, however, that mission critical has a much deeper and broader meaning. It applies to all industries and businesses of all sizes. Mission Critical plays a big role at MonMan; it's found throughout our website and it's even in our logo. So this post is aimed at myself, as much as anyone else. The CEO fails to inspire, train and lead the organization. The legal team fails to protect intellectual property, inviting competition into the marketplace. The corporate culture doesn't foster an atmosphere of growth, creativity and responsibility. What does mission critical really mean? In today's fast-paced, information-driven global economy, isn't everything "mission critical"? 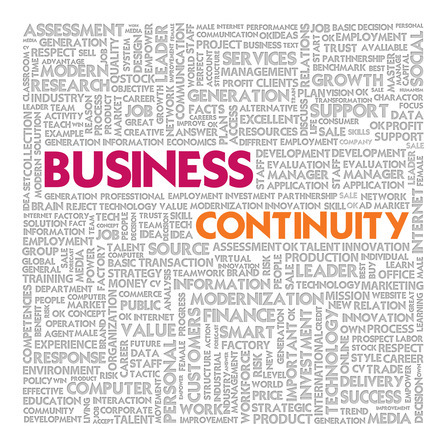 What industry or business can afford to have a glut of non-critical components? If you determine one thing to be "mission critical", you are implying that something else isn't. How do you figure out what is important and what isn't? How do you prioritize? Read more about that in this blog post. Here's a quick exercise: Name one business or industry where a particular business unit isn't critical. Can you? Ok, even if you could name one, can you name two? No, using the laserjet printer as an example of non-critical doesn't count! Trying to think of examples of non-mission critical failures proved to be a much more difficult exercise for me. Even if you have a rock-solid grasp on "mission critical", and can think of plenty of examples of non-critical people, business groups or equipment, why are we building businesses with so many non-critical parts? And, perhaps more pointendly, why are we building businesses with so many mission critical parts, the fragility and susceptibility of which keep us up at night? They're ALL Mission Critical, but they've been set up ahead of time for success and not failure. So it becomes less a question of your business failing if you lose that business unit, and more of a matter of fact that the systems you've designed can't fail. Many great business leaders will tell you that the job of a CEO is to build a business team where he/she isn't needed. Great business leaders make themselves redundant. (For more on this, I would recommend Good to Great: Why Some Companies Make the Leap...And Others Don't) by Jim Collins. I know that's a bit lofty, as there is only one Jack Welch, who wrote the phenomenal book Winning , but the message rings true for all of us. In my utopian "non-mission critical" world, there would be no manufacturing plants that are crippled by the failure of a single system. There would be no data centers that can be brought down by a squirrel on the power line or bad fuel in the generators. Entire hospital wings should not have to be evacuated if a single fan in a single Air Handling Unit fails. We have a long way to go, and all of us are working to implement such robust systems. I do think one day, it will be possible, but there are the age-old constraints of time, money and resources that try to value engineer their way into our perfect world. MonMan is a Division 09, 15 and 16 firm specializing in efficient solutions for mission critical facilities.